Project management fundamentals are essential for professionals who are responsible for managing remediation projects. However, remediation projects break many of the basic assumptions related to scope, schedule, cost, and deliverable management. Therefore, an understanding of the limitations of traditional project management approaches for remediation projects must be understood and mitigated when designing or improving the overall management system. 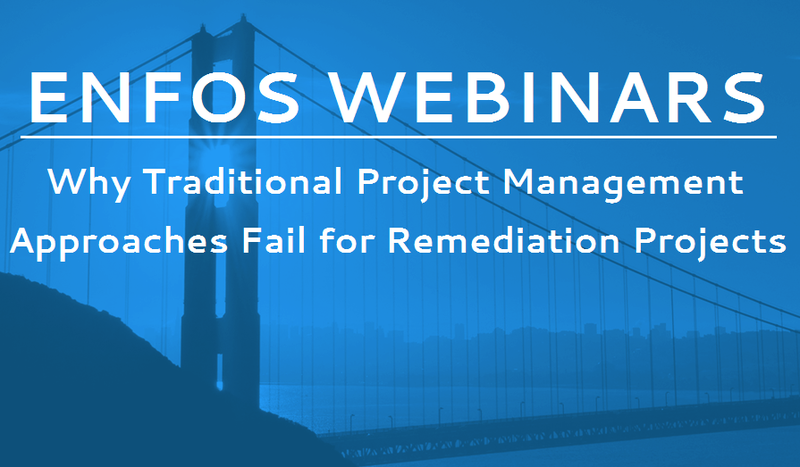 This webinar will describe the three primary factors leading to the failure of traditional project management systems and efforts to mitigate the gaps. The first factor leading to failure of project management systems is uncertainty. Remediation projects by their very nature contain high levels of uncertainty throughout the project lifecycle. Uncertainty in scope will drive changes to cost, schedule, and deliverables. Strong documentation and change management processes must be in place to effectively manage risks, decisions, and performance. The second factor leading to failure of project management systems is the long lifecycle from start to finish. Most traditional project management systems are based on the assumption that there is a clear start and end date. Many remediation projects will continue on indefinitely. Managing progression to an end point is essential for dealing with the schedule uncertainty. The third factor leading to failure of project management systems is that they fail to deliver organizational-wide business process management. Remediation programs have many parallel processes such as regulatory compliance, financial disclosure and reporting, supplier management, purchase to pay, and cost center management to name a few. Without consideration of these processes and the use of business process management for the most efficient flow of work, projects are likely to fail. A management model that incorporates project management into an overall enterprise remediation management model is best suited to mitigate the gaps of stand-alone project management approaches. Additionally, the enterprise model will ensure compliance to internal and external requirements and enable the organization to deliver uniform and consistent processes. Handled in a structured and organized manner, the remediation department can deliver value to the overall organization while effectively communicating progress and risk mitigation. The presentation's slides can be viewed or downloaded here.